Skills Ontario is building Ontario’s skilled trades and technologies workforce. We enable and empower all youth, including women and Indigenous youth, to consider a career in the skilled trades and technologies. Engagement with students, teachers, parents, volunteers, employers, and mentors ensure our programs connect education, experience, and employment. We deliver in-school presentations across Ontario, host Canada’s largest skills competition, run summer camps for skills development and connect students to employers. We are focused on growth sectors such as construction and infrastructure, technology innovation, and hospitality services. 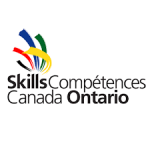 At Skills Ontario, we have a number of Skills Competitions to inform and engage Ontario youth to the fulfilling world of skilled trades and technologies. Our competitions include Qualifying Competitions, the province-wide Skills Ontario Competition (formerly the Ontario Technological Skills Competition, OTSC) and Cardboard Boat Races/Video Challenges. The Showcase is an interactive career fair in the heart of the competition. Over 70 businesses, colleges, apprenticeship programs, unions, and government programs set up booths and provide activities related to the skilled trades and technologies. Click HERE to learn more about the Career Exploration Showcase.